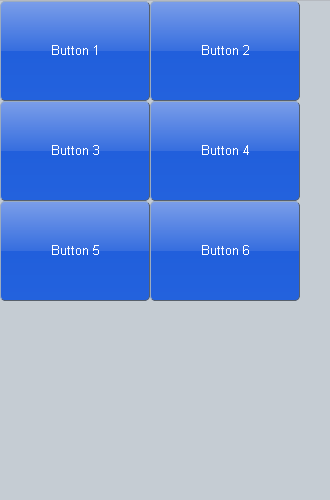 GridLayout is a widget which layouts its children div elements into a grid. Use this widget when you want to keep the number of columns fixed. For example, if cols is 2 and the number of children div elements is 6, this widget layouts its children div elements into 2 rows and 3 columns. The width of the children changes appropriately to cater for the number of columns. If cols is 0, this widget layouts its children div elements in order according to width of the children div elements. The width of the children does not change. It is useful when changing the layout by orientation change or screen size change (for fixed sized objects). This widget affects its immediate children div elements only. 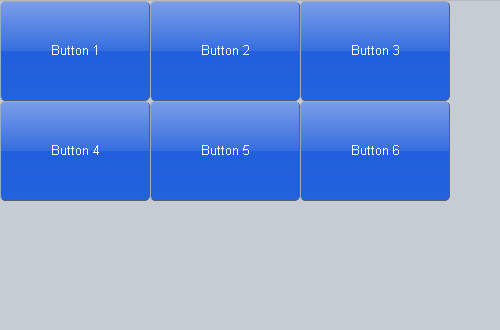 For example, if you want to layout button elements, you need to wrap them with div elements. cols Number 0 The number of child items in a row. The following is an orientation change example. The code is the same, but the layout changes according to the orientation.